An opaque paint that produces smooth washes with good coverage. * Use pure colors for full strength tints or mix colors to expand the range. * Beautiful results with wet on wet technique; colors will spread easily and will appear fuzzy. 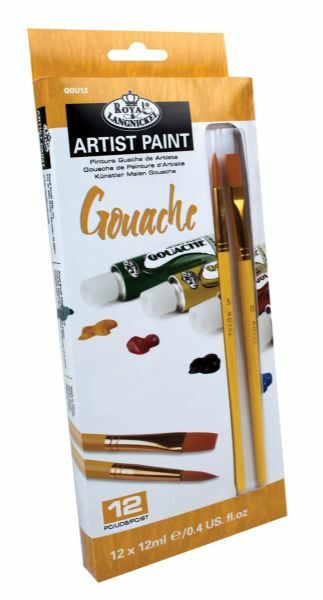 * 12-color set includes titanium white lemon yellow yellow ochre vermillion crimson red lake mauve cerulean blue prussian blue pale green viridian burnt sienna lamp black plus one round paint brush and one flat paint brush.Colors may vary. 10" x 4.12" x 1.12"